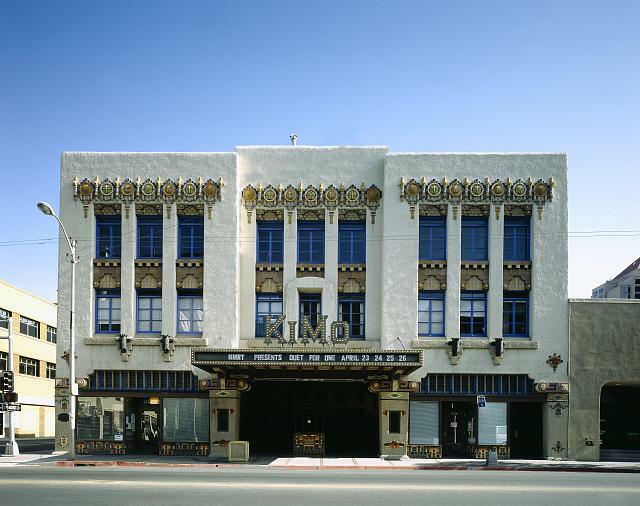 The KiMo Theatre, a Pueblo Deco picture palace, opened on Sept. 19, 1927. It was commissioned by the innovative Oresete Bachechi, who had envisioned a Southwestern style theater for Albuquerque. This photograph was taken in 1980 by Carol Highsmith. This photo is part of Carol Highsmith Collection at the Library of Congress.